So far Engage121 has created 299 blog entries. As a social media company, of course we advertise on social media via Facebook ads. For the month of January, we added Google Adwords into the mix and wanted to share performance results. First, the ads we ran were as similar as they could be given the ad requirements and/or constraints of each channel. That means that targeting, calls to action, and creative were all kept as closely aligned as possible to get a good read on the performance of each. The results? At first, we were blown away by the results: In every metric except Cost Per Click and Cost Per Conversion Facebook ads outperformed Google Adwords by close to 300%+. 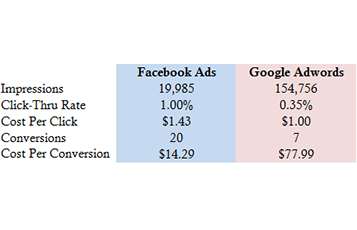 Conversion costs of the Facebook ads ran roughly 1/5 of what they cost using Google Adwords. But it really makes sense, doesn’t it? For starters, Facebook offers very powerful behavioral targeting that’s superb for segmentation based on actions. Plus, as a social platform, Facebook ad placements enable, or even encourage, digital “word of mouth” through Likes, comments, and shares. At the end of the day, if our end goal was simply to build our brand, then Google might have been a more cost-effective choice. But clearly, if your goal is conversions in a niche market, Facebook ads deliver the performance we want. Regardless of the online ad channel being used, it’s important to note that twice as many ads were delivered to mobile devices than desktops. For our Facebook ads, the mobile clicks outperformed desktop by almost 400%! Want to optimize your digital ad spend for mobile and desktop? Give us a call, or schedule a review with one of our social media experts. We’re doing just that for thousands of small businesses across the continent! We love small businesses, their potential and their passion. And we’d like to do our part to help them navigate the road to social media success. 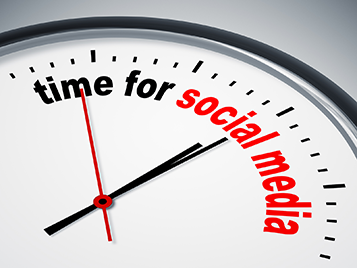 These days every business, large or small, must have a consistent social media presence to be taken seriously. And we’re here to help with a fantastic high-quality free social content service! It’s called Hot!Content and is delivered via our Engage121 Mobile app and/or an email Monday through Friday. Here’s how it works. Every night we receive over 3,000 digital content feeds and we keyword scrub, depending on the industry or vertical a customer is in. Once the content has been topically narrowed we run it through our historical database of (hundreds of thousands of) social media posts and the performance of each. 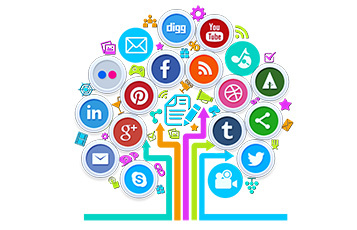 That means we can predict what content is going to resonate with each business’ prospects and current customers. The end result is that every business day you’ll get 3-5 articles to post to all of your social accounts immediately, and you can even schedule them for later or throughout the week! Could your small business use a steady stream of top-flight curated content? (We know the answer.) Signing up is easy. Just click here to register, select the industry that fits your business and connect your social accounts. 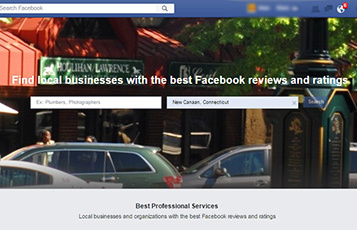 Today, over 40 million SMBs have an active Facebook business page. Of those, 2.5 million are marketing partners paying to advertise their goods and services on Facebook. 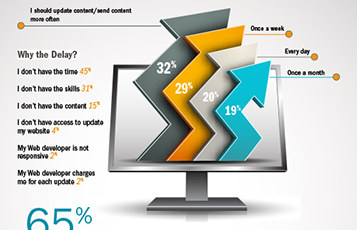 Most are SMBs and this is good news for Engage121 clients. Facebook’s new Professional Services Search – replete with consumer reviews – is an important innovation that will yield great results for Engage121 SMBs once it’s fully launched. Its focus is hyper local and, considering that 71% of digital shoppers said they are more likely to respond to an ad for a local business than a larger operation, search results will be more relevant – and productive – than ever. Of course, it will also yield great results for Facebook as it takes on Yelp and Alphabet (formerly Google) to keep people on Facebook for all their research and shopping needs. (Clearly Yelp stockholders are concerned – price is down almost 20% since the FPSS discovery.) Facebook clearly understands the value of the 40 million SMB business pages and is investing in better servicing that segment. By focusing here Facebook ensures a) better advertiser satisfaction; b) a better user experience; and c) increases in ad spend. Win-win across the board. We see better targeting, richer data, and improved performance in our (not too distant) future. Good for Engage121 and good for our clients. Another win-win! We’re excited to see how Facebook rolls this out and will keep you updated on opportunities as they develop. 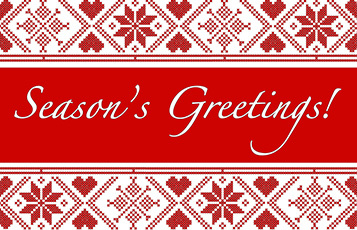 From Our Family to You and Yours! It’s been a splendid year for us here at Engage121. And that’s not only because we are proud to serve over 11,000+ clients. We have worked hard, and we are delighted to look back on 2015 and see each of our clients enjoying growing & engaged social community. There have been lots of learnings for us this year – both from changes in and on the platforms that we use, and from our customers. A really special thanks to our customers who are our inspiration to innovate! Here’s hoping you, our clients and future clients, have a wonderful and relaxing holiday (and, of course, growing and engaged communities!). 2016 is going to be another great year for us all! We just found two great articles that are so ‘spot on’ we wanted to share them with our realtor community. The first is an article by RISMedia on the key learnings from the “New Year, New Opportunities – Power Prospecting Strategies for 2016” webinar. Our favorite takeaway: “Real estate professionals who want a consistent stream of business cannot afford to ignore social networks where over 70% of their prospects are active.” Check it out by clicking here! 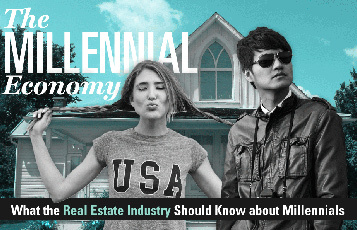 The second is an infographic on what the real estate industry should know about millennials. It’s chock full of great insights and statistics on this up-and-coming market segment and will help realtors better target their marketing channels and their messaging. Did you know that 90% of millennials used a real estate agent or broker to buy a home? Even more surprising is that 68% only interviewed 1 agent. For more information about millennials and real estate click on the image below. Click here to read more about millennials and understand why social media is your best route to get in front of them. Can we help you? Of course we can! Just call us at 888.607.9655 or email us at Sales@Engage121.com. 1 – Details, details! Do an informative, promoted post 4-5 days before your sale or event. Give the reader every piece of information they need to plan for it and to find it. Date, time, details, and location (include the address!) are all mandatory. If your sale is online, include a “Learn more” button on your ad that takes the customer to your web page with all of the information. Be sure to include a coupon code that will get them to return when the sale goes “live”. Facebook provides some great guidelines on creating these types of ads! 2 – Make your offer a win/win! Holiday sales can be a great way for you to clear out overstocked product at a value price that earns you a happy new customer. Does your inventory include a currently “hot” item? Take advantage of this to not only sell the product, but to establish yourself as a go-to place to shop for all things trending. 3 – Showcase your customers. Post images of happy customers in your store with their awesome deals. 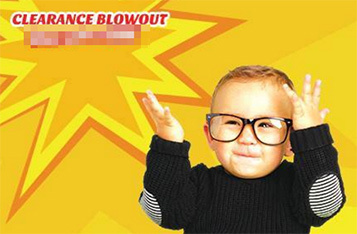 Images like this will create excitement and tease to your sale. You can also use these images to tease to your next sale. 4 – Laser focus your targeting. 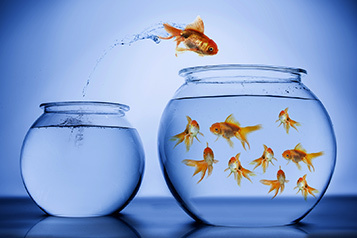 Study your customer profiles and make sure… … your radius represents your products. In other words keep it to 10 miles if you have a lot of competition for what you’re offering. Expand to 25-50 if you have a “hot item” that people are willing to travel for (think Sphero Star Wars Droid, Fitbit HR or Apple Watch). Obviously if you’re an online seller this doesn’t necessarily apply to you unless you offer a local pick-up option. … you take advantage of interests and behavioral targeting in addition to standard demographics. Selling clothing to teens? Age and gender are obvious selections but make sure you include selections like “teen fashion” and behaviors like “fashionistas” to get your ad in front of the right prospects). Yes, you’ll get fewer impressions but they will be far more likely to convert. Need help with your holiday sales campaigns? We’re happy to help! Give us a call at 888.607.9655 or contact us at Sales@Engage121.com.